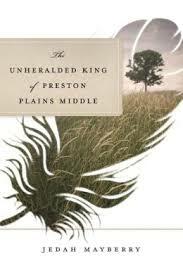 Jedah Mayberry’s debut novel The Unheralded King of Preston Plains Middle is out now from River Grove Press. You can read the opening pages here. Jedah Mayberry is the only writer-engineer combination that I’ve ever met. 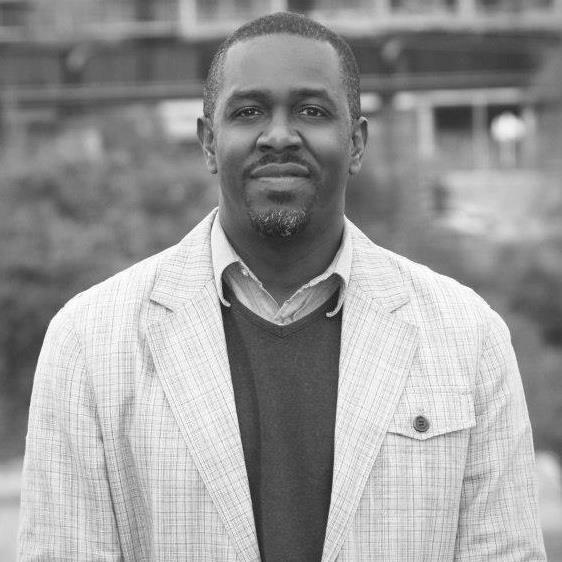 He holds degrees in engineering from Georgia Tech and North Carolina A&T, and amassed several US and foreign patents before returning to his first love, fiction writing. His debut novel, The Unheralded King of Preston Plains Middle, is set in southeastern Connecticut, where he spent most of his youth. He lives with his wife and teenage daughters in Austin, TX. In this interview, Mayberry discusses country-boy/city-boy story lines, the influence of Edwidge Danticat, and how he’s built a writing community without an MFA. I really like the opening paragraph from the chapter titled Turnabout. You manage to tell us the history and geography of the town of Preston in a way that gives it a personality. You do this, in part, by focusing on what the town is not. How did you approach this passage? It was primarily a way to place Preston on the map: north of this, west of that, removed from the other. I started with a hill-and-dale, stroll-through-the-meadow description, and then decided that approach wouldn’t work for what I wanted to accomplish. First, there is very little mass to Preston itself. The town literally sits at the intersection of a couple of two lane roads leading off in either direction through farmland and cow pastures. Second, the contrast between Preston and the surrounding urban centers is where the story derives much of its energy, placing Langston and Trajan outside their element when the time comes to venture to Norwich or New London. The setting introduces a new wrinkle on the country-boy/city-boy encounter when the country-boy would appear,at least by skin tone, more at home with his city counterparts. Yet, quite the opposite is true, giving the brothers a fish out of water feel when they start high school. Focusing attention on what Preston is not underlines the gap the boys need to cross, uneasy footing in part contributing to the various difficulties each encounters along the way. The novel approaches an intimate story about a family from the viewpoint of history and migration. How does the large-scale world of the story inform the events that take place? Why start with the broad view of history and geography? Rearranging things to preserve a linear progression in scope is the single most outstanding contribution the substantive editor made. The Unheralded King of Preston Plains Middle follows the story of Trajan Hopkins, an African-American teen in a small Connecticut town and the tragic accident that forever changes his life and that of his brother, an Olympic-hopeful athlete whose dreams come to an end. I invariably encounter people who are surprised to learn that I grew up in CT, that people of color actually live there. I felt it was important to trace the roots a bit to lend credible explanation as to how this family tree grew into (and out of) CT in the first place, how these two boys wound up in close proximity to Norwich yet still managed to fall culturally outside the reach of the kids whom they most resembled. (Interesting to note, the boys’ appearance is only the surface telling to the story. Later in the narrative, we learn that Langston’s name originated with Langston Hughes, a deep cultural root that ultimately bridges his connection with one of the first Norwichton girls he encounters.) As the story progresses, I introduce a friend/turned villain as well as a suspected villain/turned pseudo-savior. I weave their threads in a similar way using a bit of family history to explain how they wound up in the River Valley as well. I know that you’re a fan of the work of Edwidge Danticat. How has her writing influenced your own? Do you at all borrow from or find inspiration in her language, voice, structure, or mixture of biography and fiction? I have certainly tried to emulate her voice, speaking as plainly as possible while attending to the world surrounding the characters, working to provide a somewhat out-of-the-ordinary description of a scene without it seeming outlandish or overly ornate, e.g. melding the interrelationship between tribes in molten lava, characterizing the arrival of New Yorkers and Bostonians as a Martian Landing. I’ve gotten lots of feedback on those passages, how they stuck with the reader. I also worked to have something of interest going on in the background to help propel the story: the Eastern Pequot’s petition to be recognized as a sovereign state (which incidentally is still ongoing, not to mention the casino’s impact on the surrounding area). This isn’t quite as traumatic an uprising of one people against another as the one that plays backdrop in Danticat’s The Farming of Bones, ultimately resulting in the massacre of scores of Haitians working as laborers and domestics on the Dominican side of the island. But, based in truth nonetheless, the Native American sub-theme lends color to the region, contributing to the story in its own right. There is sometimes an expectation among aspiring writers that they must attend a MFA program. But many writers find different routes to becoming published. That was the case for you. As a result, I’m curious what your writing community looks like? What has helped in your development as a writer? I read somewhere recently that a stocked bookshelf is a poor man’s approximation of an MFA. I spend lots of time reading, working to identify what in a particular piece worked for me, how the author succeeded in connecting me to his/her characters, to the story line. Connect with Jedah Mayberry and find out what he’s reading at Goodreads. Right now, I’m reading Ghana Must Go (Taiye Selasi) as part of a goodreads book group I joined. She uses a lot of singsong in her language, which I worry some might find distracting. However, her description of things (various degrees of snowfall most notably, how the most crippling blizzard starts with a flutter of the first few flakes) is remarkable. She deals with some very complex human interactions, starting with a father to his children, a pair of twins, the connection between which always seems fascinating. She gives each character a special ability to read people or see people or appease people, and then works those characteristics consistently throughout the book. I look at it as an intense study in character development. So, my community consists of book groups enabling me to discuss openly my take on a piece we’ve read alongside oftentimes differing opinions. A bunch of people from my undergrad (I have a masters in science as opposed to fine arts) started a group on Facebook that caters to alumni in the arts. There are a half-dozen published authors in the group, mostly spiritual-based or strongly Afrocentric. My aim is to push the literary bent first, undoubtedly with a strong cultural base. I’ve gotten lots of insights from them on things related to the publishing industry itself if not actual writing content. I also claim the short fiction workshop you facilitated as invaluable in my establishing confidence in my voice. I recognize there were a couple of people in the group who didn’t really dig what I was sharing (as well as one who pretended to). But, a couple others really resonated with it and shared with me at the conclusion of the workshop how much they looked forward to seeing me do something with it. And, you were the first person to tell me that I wasn’t a short story writer necessarily, that I should focus on scene, but write longer, put the story down end-to-end then work to fill in detail. That’s essentially the formula I followed with this latest project. So thank you for that. I love to read about writers who didn’t follow the now ‘traditional’ mfa rote to publication, and his thoughts on reading with a purpose seems to mirror this blog and what I am getting out of it in relation to my writing. Thanks! I finally located the source of the stocked bookshelf quote. It was Zachary Petit, journalist and senior managing editor for Writer’s Digest -15 THINGS A WRITER SHOULD NEVER DO: “13. Don’t ever discount the sheer teaching power (and therapeutic goodness) of a great read. The makeshift MFA program of countless writers has been a well-stocked bookshelf.” You can find the entire article on the WD website: http://www.writersdigest.com/editor-blogs/there-are-no-rules/15-things-a-writer-should-never-do. Thanks for the link, Jedah. It’s a good reminder that people have been learning how to write by reading good books for a long time. MFA programs simply formalize the process–which can be valuable but not necessary.